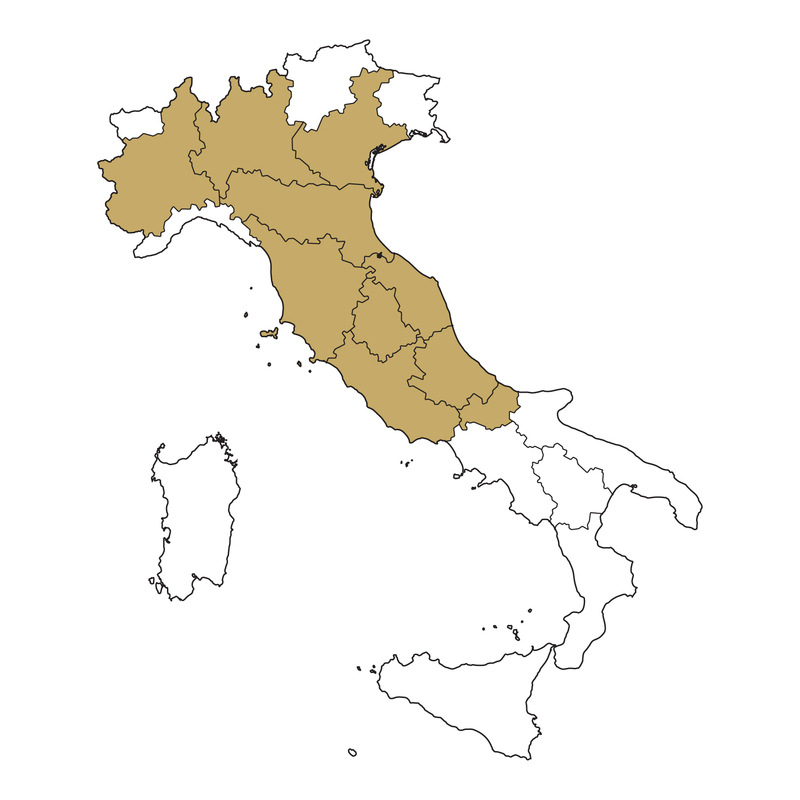 The history and region of Parma Ham production are what set it apart from other prosciuttos in the world. Since Roman times, this geographically protected food became world renowned for its delicate and sweet flavor. Learn more about the history of Prosciutto di Parma. Prosciutto di Parma can only be produced from the hind legs of specially selected heritage breed pigs raised in 11 regions of Italy, approved by the Consorzio. Unlike other cured hams, which can be produced from pork raised anywhere, Prosciutto di Parma can only be produced from Italian-born and bred pigs raised according to the highest standards, on which they are monitored, inspected, and traced. Although many people are learning how to make prosciutto on their own, including chefs, Prosciutto di Parma still sets the standard. In Parma, making prosciutto ham is part of an age-old tradition passed on from generation to generation and the methods used thousands of years ago have remained consistent. And so has the guarantee of the Parma Crown, fire-branded on every ham. The Parma Crown is only stamped on the hams truly ready for enjoyment. But where did it originate? The five pointed crown, or “ducal crown,” was originally created to symbolize the Duke of Parma and Piacenza (a town northwest of Parma) but is still used as the coat of arms for the town of Parma today. The Parma Crown means a 100% natural product: no additives or preservatives, just sea salt, air and time. Look and ask for the Parma Crown next time you buy prosciutto to ensure you’re getting the original. With all of the different types of ham, it’s understandable to be confused about what separates prosciutto ham, pancetta, bacon or other cured meats. So what exactly sets Parma Ham apart from the others? Prosciutto di Parma is guaranteed 100% natural without any additives, preservatives, hormones or coloring agents, which may not be the case for other cured hams. There are other prosciuttos too, including American prosciutto, Jamón from Spain (Serrano or Iberico) as well as other Italian prosciuttos such as prosciutto di San Daniele and prosciutto Toscano. All of these have unique flavors from the regions where they’re produced. Prosciutto di Parma separates itself from some other hams, such as Culatello, due to the area of the ham that is cured. A product like Speck Alto Adige PGI is a cured Italian ham from the pig’s hind legs, but is slightly smoked and has a thin salt crust. Prosciutto di Parma can only be produced in the countryside surrounding the city of Parma, most notably in the area of Langhirano. The air is dry with aromatic breezes from the Apennine Mountains, which creates the perfect conditions for the natural curing of the hams while imparting a unique, sweet flavor into the prosciutto ham. Learn more about the Prosciutto di Parma production process.